St George the Martyr, Newbold Pacey, is at the easternmost end of the Newbold Road cul-de-sac, on the eastern side of the hamlet. Immediately north of the village is Newbold Pacey Hall, which sits in spacious grounds. The church consists of a chancel, south organ-chamber and vestry, nave, south transept, south aisle, and a north porch-tower. The date of the construction of the original church is not known, but it was either Anglo-Saxon or early Norman. The early church was given to the Yorkshire Priory of St Oswald of Nostell by Eytrop, son of the Domesday tenant Humphrey, and confirmed by his own son, another Eytrop. In 1221 his grandson, Robert Hastang eventually confirmed this again after a short dispute. In 1344 Nostell sold the church to Queen's College, Oxford, to whom it was appropriated in 1351. In 1932 the living was united to that of Moreton Morrell and continues in the gift of Queen's College. 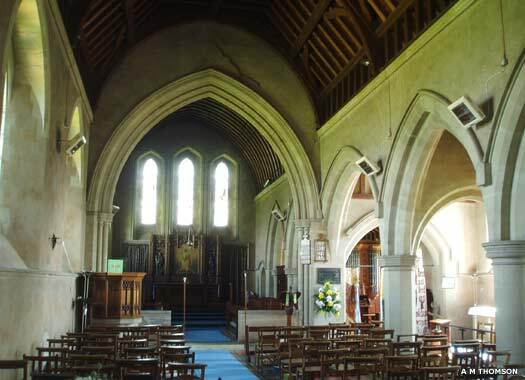 The church was entirely rebuilt in 1881-1882 in the thirteenth century style by J L Pearson, who saved two late-twelfth century doorways and reset them. The former south and more elaborate doorway is now on the north side, entered from the porch. On the north wall of the nave is a marble monument to Edward Carew, 16 November 1668, and Felicia his infant daughter. 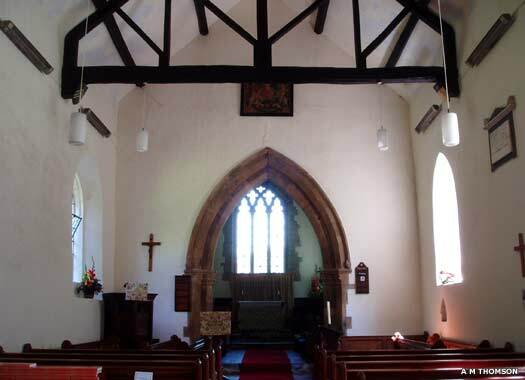 The font and other furniture are Victorian, while the porch-tower contains four bells, all from 1707. The Church of the Holy Cross, Moreton Morrell, lies south of the village, on the north-west corner of the main road and the entrance to the Farming & Wildlife Advisory Group. The name suffix comes from an insignificant hill to the north called the 'Merehull' (now Morrell), while the small parish is bounded on three sides by small streams. 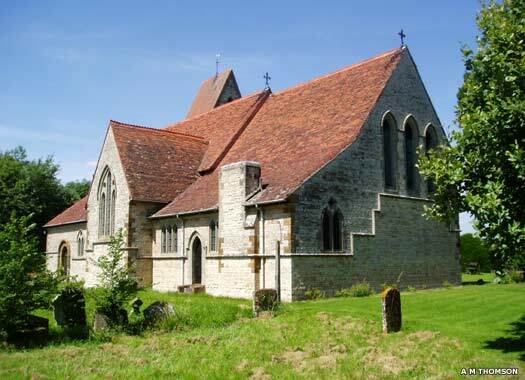 The church itself is a small building which consists of a chancel with a north vestry, a nave with a north porch and a two-stage tower. 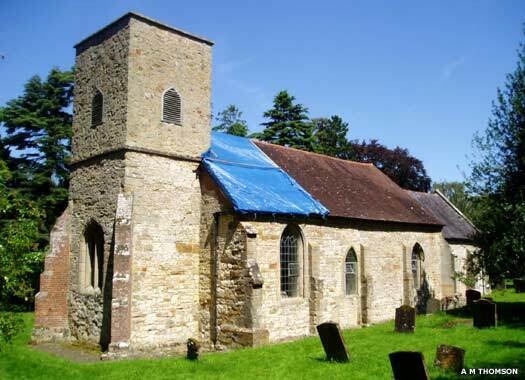 There was a priest, and therefore an Anglo-Saxon church, at Moreton in 1086. 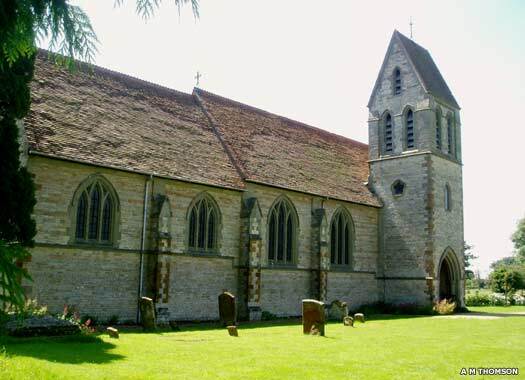 In the main the present church dates from the thirteenth century, but it is possible that the nave, from its proportions and thick walls (a metre thick - over three feet), is from the twelfth century. The upper part of the tower is nineteenth century and the north porch was added at the end of the same century. There were also several relatively recent restorations, including one in 1886.